On 27 October 1829 Roderick Mackenzie Esq of Demerara married Maria Anne Charlotte Scobie at Inverkirkaig, in Assynt (Sutherland) [GROS 044/00 0020 0099]. According to the web-site The Scobies of Sutherland, the couple then went to Demerara where a number of children were born but, after the death of some of these, Maria Anne brought her surviving children, Alexander Kenneth (b 29 Dec 1833: Inverness Courier - Wednesday 02 April 1834) and Kenneth Scobie (b1836), back to Scotland. Both brothers emigrated to Australia c1852/3. Roderick and Maria Anne returned to Britain before their daughter Alexa was born in London in 1841. A third son, Mackay John Scobie Mackenzie, was born in Tain in 1845. 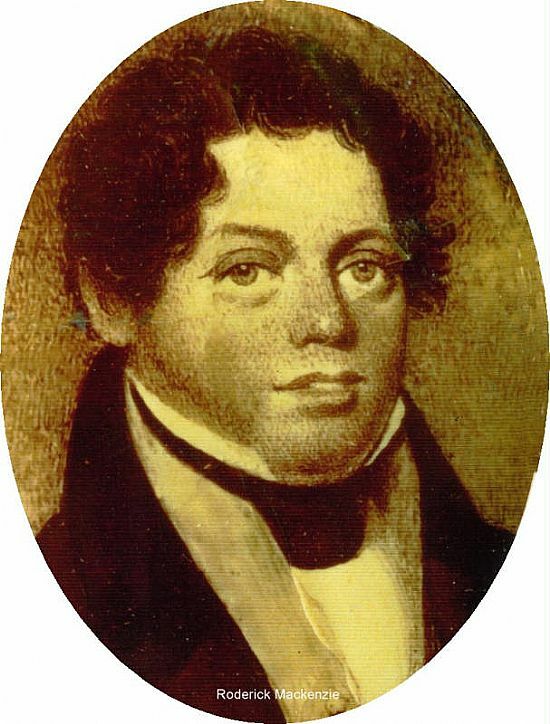 Roderick returned to Demerara but died there in 1850. 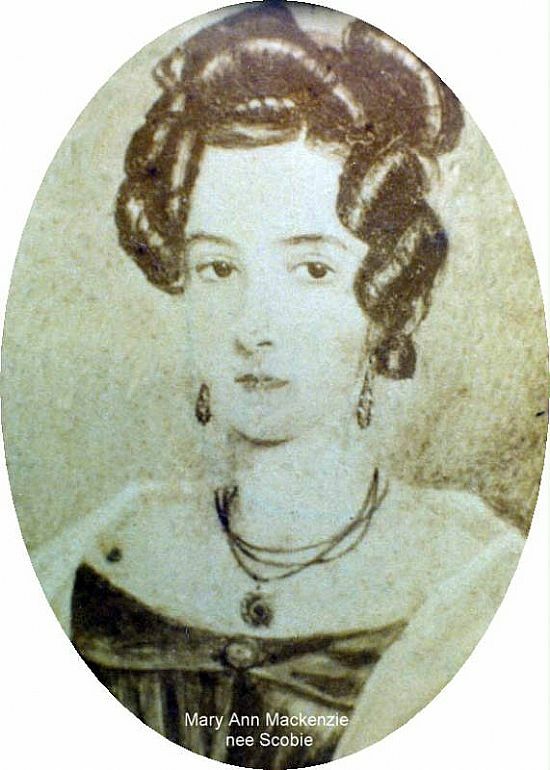 Maria Anne, with Alexa and Mackay John Scobie, joined the two older brothers in Australia c1861/2. Roderick is said to have been a sugar planter but the only Roderick Mackenzie who received compensation when slaves were emancipated was the joint owner, with Hector Kemp & Co, of a task gang of 12 slaves [Information from Legacies of British Slave-ownership project, UCL]. In 1828 the task gang had 52 slaves [House of Commons Papers, Volume 25] and both Kemp and Mackenzie were contactors for the building of the colony's new Parliament Building, begun in 1829 and completed in 1834. Both were present at the opening on 5 August 1834. However, it is not certain that this is the same Roderick Mackenzie.